Ricoh’s range of printers is the ideal solution for organisations that need a reliable, high quality device, without the additions of copying and scanning. Whether you’re looking for a wireless, networked or standalone, black & white or colour printer, Midshire has the full range available for you to choose from for your home offices, small workgroups or large office environment. Midshire is a Ricoh Prestige Partner, giving us access to leading sales and service support from the market-leading manufacturer. Working with Ricoh to deliver modern and up-to-date print solutions for its customers, Midshire can support Ricoh printers on its Managed Print Service, taking care of all service, maintenance, inks and toner supply and automated meter readings using its machine monitoring software, OneStop. Ricoh printers are regarded as some of the best in the world. These business grade devices are capable of substantial office use, are Incredibly reliable and highly energy efficient. These printers have understandably become a firm favourite in the print market place and have a reputation for excellent quality and longevity. Ricoh’s reliable mono and colour printers are designed to enhance any office environment, providing high quality printed output with low running costs. 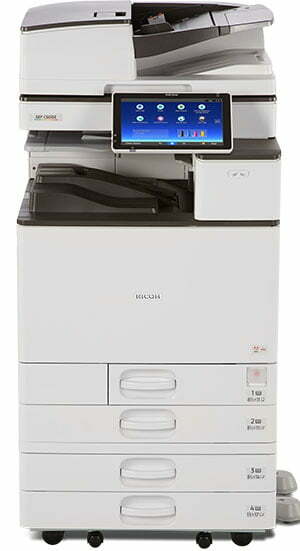 Midshire has access to the full range of Ricoh desktop printers, including the SP 5210DN and SP C240DN. 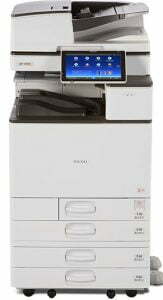 The Ricoh SP 5210DN mono printer allows users to deliver everyday documents, with exceptional efficiency. Ideal for mid-volume print environments, this Ricoh desktop printer accommodates large workloads without compromising efficiency, productivity or quality. 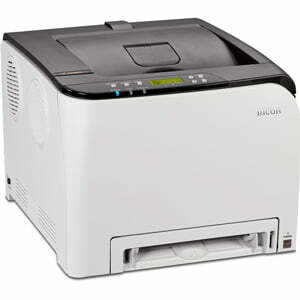 The Ricoh SP C240DN colour printer provides high productivity, at a low cost. This A4 space saving Ricoh printer is the perfect solution for companies wanting affordable devices with market-leading print quality. As well as the standard laser printers that use toner cartridges, Ricoh recently introduced a new range of office printers, using innovative GelJet technology. Different to the traditional toner, GelJet dries on contact with paper and is water insoluble, meaning that it does not run when in contact with water, making its prints durable and long-lasting. Midshire recently won a contract to install GelJet printers to 900 OneStop Stores across the UK, in the largest UK installation of its kind. 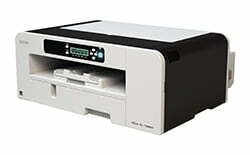 Midshire has the full range of Ricoh GelJet printers available, including the SG3100DN and SG7100DN. Also known as photocopiers, Ricoh has a large range of industry-leading multifunction printers. Ricoh provides an extensive range of multifunction printers to suit to every office environment, including BLI award-winning A3 and A4 devices, mono and colour multifunction printers and a wide variety of add-ons and connectivity options. Ricoh printers are business grade devices capable of substantial office use, with print speeds ranging from 25 pages per minute right up to 60+ pages per minute. Incredibly reliable and highly energy efficient, these devices have become a firm favourite in the printer market place. For those looking for a device with outstanding print output and capabilities greater than a standard business photocopier, a Ricoh digital production printing press would be an excellent option. These devices have been designed for high-end production printing in outsourced production print rooms and printing plants. 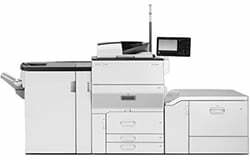 Ricoh is one of the leading names in the print solutions world. Their products are consistently rated very highly with industry bodies and customers alike. A digital production printer from Ricoh can provide an organisation with the latest in-house production print technology, in a fast developing marketplace. Midshire is able to supply a full range of Ricoh production printers and digital presses including: Ricoh Pro C901, Ricoh Pro 5100 and Ricoh Pro 5110.